Buhari's Team Reacts To Trump Describing Him As "Lifeless"
This is one saga that will snowball in the days ahead. 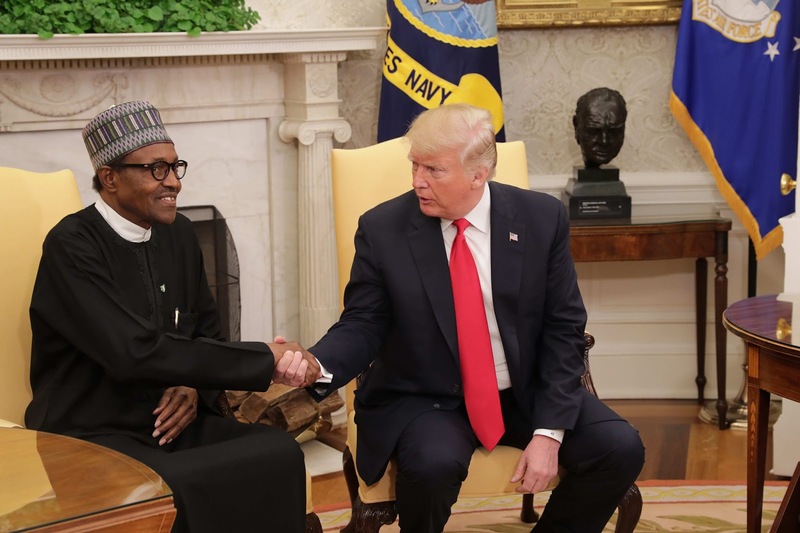 After a Financial Times report claimed that the American President had made disrespectful comments over President Buhari's state of health, the Buhari Media Organization (BMO) has reacted. The statement, jointly signed by Niyi Akinsiju and Cassidy Maduekwe, its Chairman and Secretary respectively, noted that the US President was fond of making such derogatory remarks at World leaders. According to the group, President Buhari would not be distracted by derogatory remark. “It is indeed not the first time President Trump would be heard to lower the standards of respect for his colleagues on the World Stage. We are not surprised, we know that this age-long character of the US President would not change anytime soon. “But it is important that we put it on record that President Buhari remains fit and sprightly, even for the next decade”, they added.